Are you a heart disease or stroke survivor-or do you know someone who is? The American Heart Association wants to walk with you. On Saturday, April 13, over 2,000 people will take to the streets for the American Heart Association’s Low Country Heart Walk, taking place this year at the Coligny Plaza Shopping Center on Hilton Head Island. The non-competitive 5K walk is the American Heart Association’s largest single fundraising event across the nation. Sign-up is now open, and participation is free. The American Heart Association invites survivors, survivor families and their supporters to join the festivities and share their stories. Heart and stroke survivors will be distinguished by special red and white caps. The American Heart Association is the largest voluntary health organization working to prevent, treat and defeat heart disease, stroke and other cardiovascular diseases. The Low Country Heart Walk is sponsored locally by Hilton Head Hospital and Coastal Carolina Hospital and nationally by Subway Restaurants and Jenny Craig. Funds raised support research, public health programs and community education to fight heart disease and stroke, America’s No. 1 and No. 4 killers. 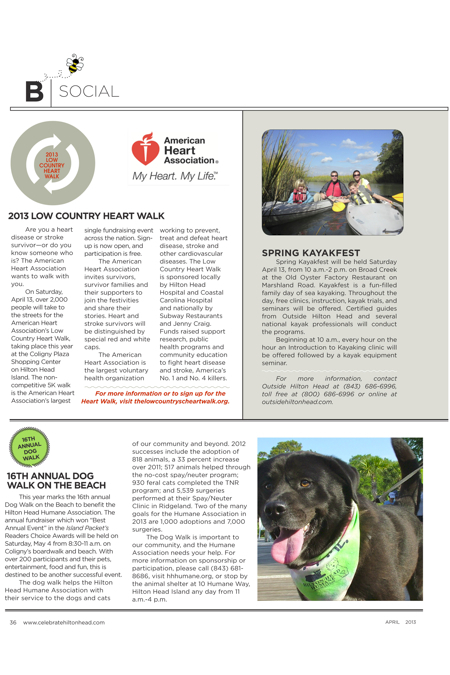 For more information or to sign up for the Heart Walk, visit thelowcountryscheartwalk.org. Spring Kayakfest will be held Saturday April 13, from 10 a.m.-2 p.m. on Broad Creek at the Old Oyster Factory Restaurant on Marshland Road. Kayakfest is a fun-filled family day of sea kayaking. Throughout the day, free clinics, instruction, kayak trials, and seminars will be offered. 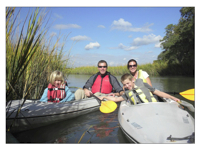 Certified guides from Outside Hilton Head and several national kayak professionals will conduct the programs. 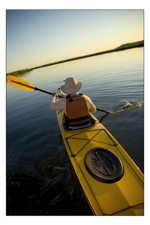 Beginning at 10 a.m., every hour on the hour an Introduction to Kayaking clinic will be offered followed by a kayak equipment seminar. 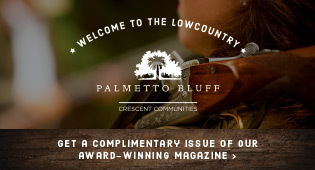 For more information, contact Outside Hilton Head at (843) 686-6996, toll free at (800) 686-6996 or online at outsidehiltonhead.com. 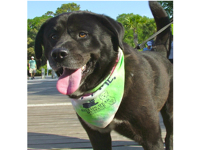 This year marks the 16th annual Dog Walk on the Beach to benefit the Hilton Head Humane Association. The annual fundraiser which won “Best Annual Event” in the Island Packet’s Readers Choice Awards will be held on Saturday, May 4 from 8:30-11 a.m. on Coligny’s boardwalk and beach. With over 200 participants and their pets, entertainment, food and fun, this is destined to be another successful event. The dog walk helps the Hilton Head Humane Association with their service to the dogs and cats of our community and beyond. 2012 successes include the adoption of 818 animals, a 33 percent increase over 2011; 517 animals helped through the no-cost spay/neuter program; 930 feral cats completed the TNR program; and 5,539 surgeries performed at their Spay/Neuter Clinic in Ridgeland. Two of the many goals for the Humane Association in 2013 are 1,000 adoptions and 7,000 surgeries. The Dog Walk is important to our community, and the Humane Association needs your help. For more information on sponsorship or participation, please call (843) 681-8686, visit hhhumane.org, or stop by the animal shelter at 10 Humane Way, Hilton Head Island any day from 11 a.m.-4 p.m. The Art Market at Historic Honey Horn, a juried fine art and craft outdoor festival, is set for Saturday, April 27 and Sunday, April 28 on Hilton Head Island. 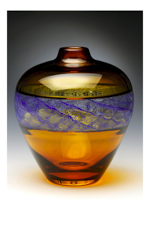 The Coastal Discovery Museum is pleased to announce that artwork in media including clay, wood, fibers, metals, glass, jewelry, watercolors, oil, mixed media and photography will be on display and for sale. The event will host nearly 100 artists from as far away as Seattle’s Pike Place Market along with well-known local artists as they share the spotlight during this weekend-long event and compete for prizes up to $5,000. The judge for this year’s show is Paul Matheny, chief curator of art at the South Carolina State Museum since 2002. The show is open to the public from 10 a.m.-5 p.m. on Saturday and from 11 a.m.-4 p.m. on Sunday. There is a $6 per car parking donation, while admission to the show is free. 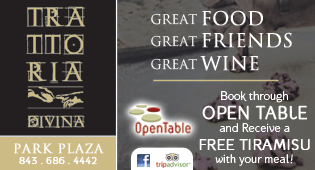 Demonstrations will be held throughout the weekend, and food and beverages will be available for sale. If you’d like to stay longer, an artist reception will honor the prize winners from 5:30-7 p.m. on Saturday. Admission to the party is $20 and reservations are required. 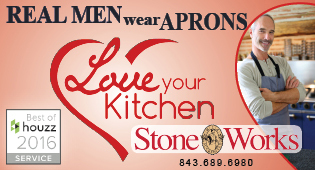 Call (843) 689-6767 ext. 222. Award winning naturalist Todd Ballantine will lead a guided Sea Kayak nature tour Sunday April 28, from 3-5 p.m., departing from the Outside Hilton Head kiosk at Shelter Cove Marina. Ballantine is an internationally recognized educator, environmental scientist, writer, and artist. The two-hour tour will combine an introduction to sea kayaking with an informative and educational interpretive nature tour. Following a brief paddling clinic by a certified kayak guide, Ballantine will lead the tour through several creeks and inlets which border along the coastal marshlands. Following the tour, Ballantine will sign copies of his Lowcountry field guide, Tideland Treasures. Proceeds will benefit The Kids in Kayaks program. Space is limited. 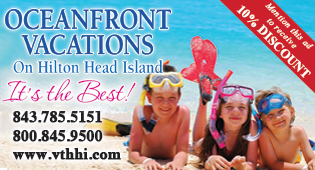 For information and reservations, call Outside Hilton Head at (843) 686-6996.